iProva: one software platform offering five unique solutions. 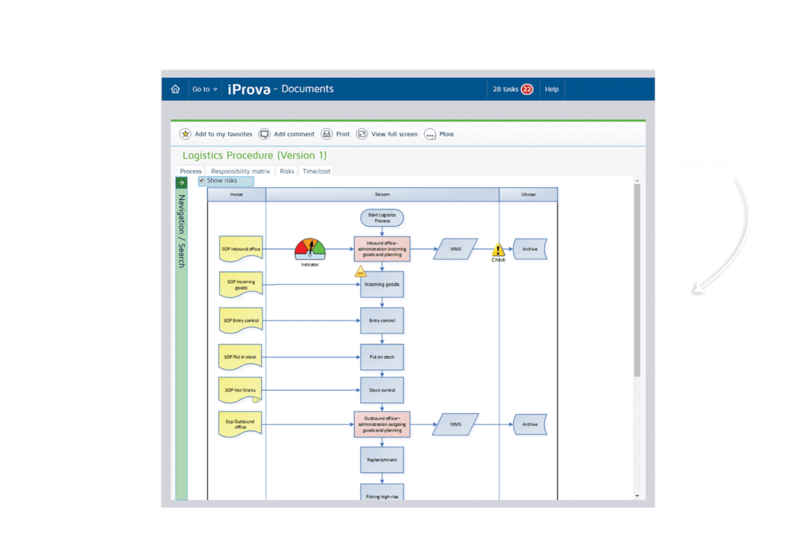 The iProva quality management system helps you to work smarter, more safely and more efficiently. Let us support you in the entire process of learning and improvement and get started with document management, incident management, risk management and micro-learning. Stop unnecessary searches, perform audits and inspections easily and learn from incidents by adding measures for improvement. Use clear dashboards to monitor quality, discover the ease of use of intelligent work flows and experience the benefit of mobile notification. Are you ready for a truly user-friendly and accessible quality system? Choose iProva and start with one or more module(s), or start directly with the complete software platform. Start working more effectively and efficiently today! Would you like to speak to one of our professionals and find out what the software can do for your organisation? Get in touch with us! Manage and distribute documents easily from one central location. Use our reporting and analysis solution to learn from errors made. Perform audits and checks to enrich the organisation’s risk profile. Make employees aware of improvement strategies. Get control over your risks to prevent damage and to meet standards. 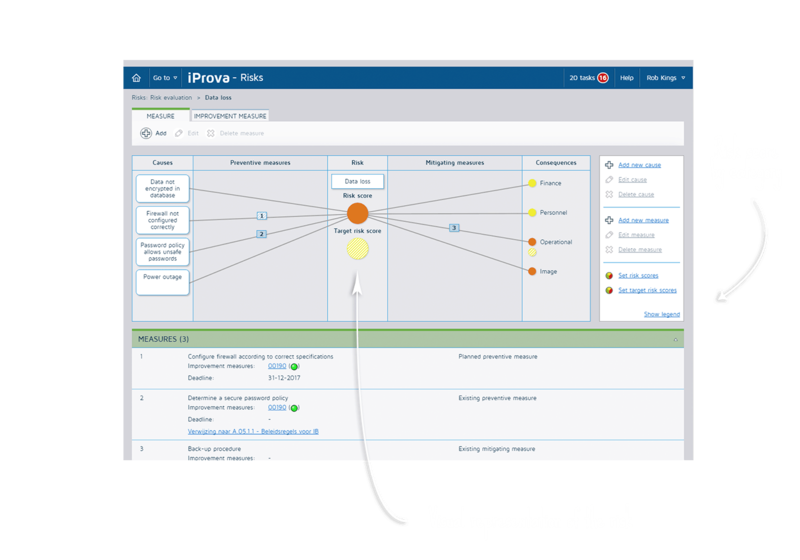 The all-in-one solution iProva (consisting of five unique solutions) supports the complete improvement process within an organisation. These five unique solutions can, however, also be used individually. Examples include the management and distribution of documents & processes, the identification of opportunities for further improvement, the implementation and follow-up of audits and checks, the increase of employee’s awareness and risk management. An impression of the five unique solutions can be found below. 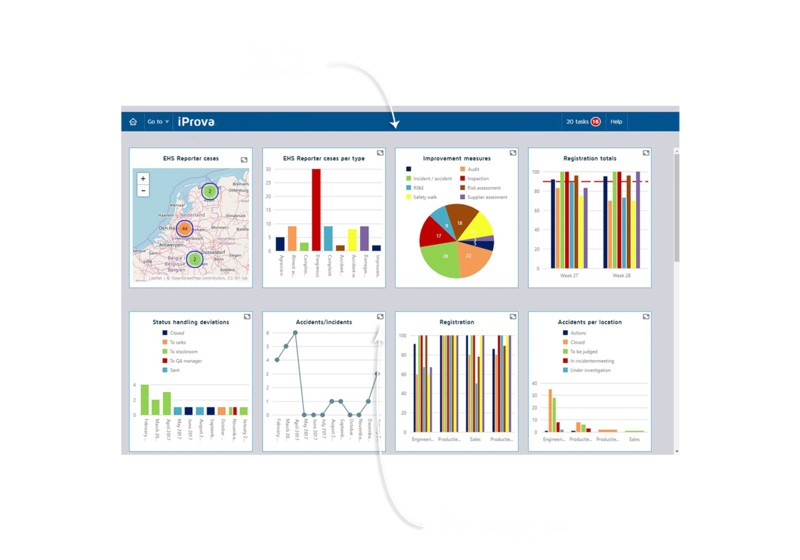 Are you curious how our software can help your organisation or would you like more information? Ask for a free online or live demonstration.